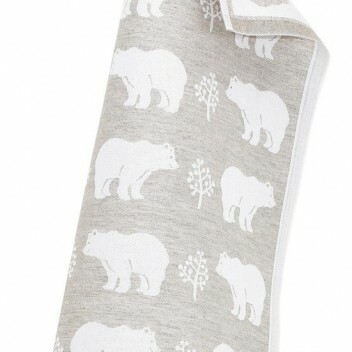 The Lapuan Kankurit Karhu Tea Towel is like a bear hug for your kitchen. 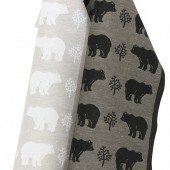 The Karhu (bear) print seems to show smiling bears approach berry bushes with the same delight you can feel as you use the tea towels to dry dishes, cover warm pastries or set the table. 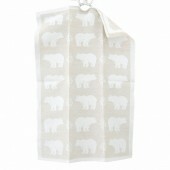 The Lapuan Kankurit Karhu Tea Towel is like a bear hug for your kitchen. 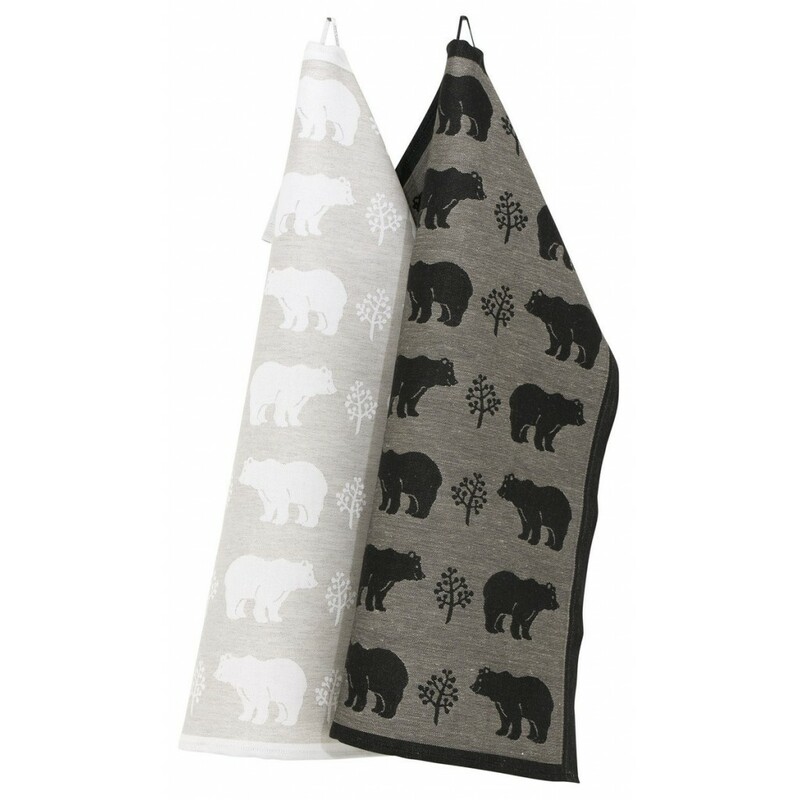 The Karhu (bear) print seems to show smiling bears approach berry bushes with the same delight you can feel as you use the tea towels to dry dishes, cover warm pastries or set the table. 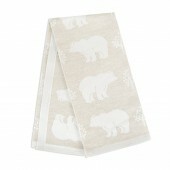 Neutral white and linen colors blend into your dining room or kitchen décor. 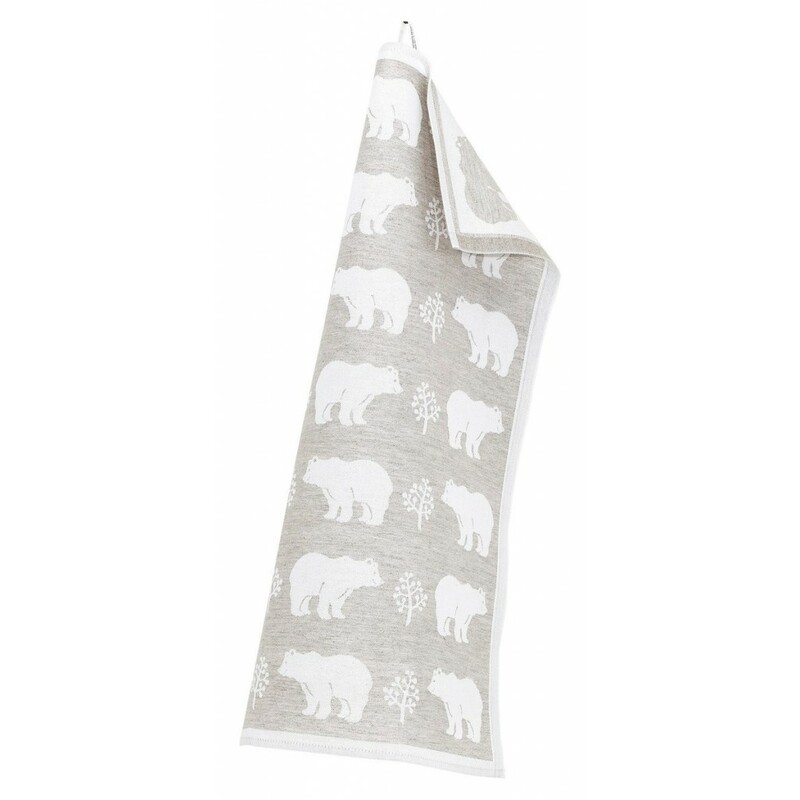 Feel proud knowing that is has been made in Finland by the only Scandinavian weaving mill with the European 'Master of Linen' seal of excellence. 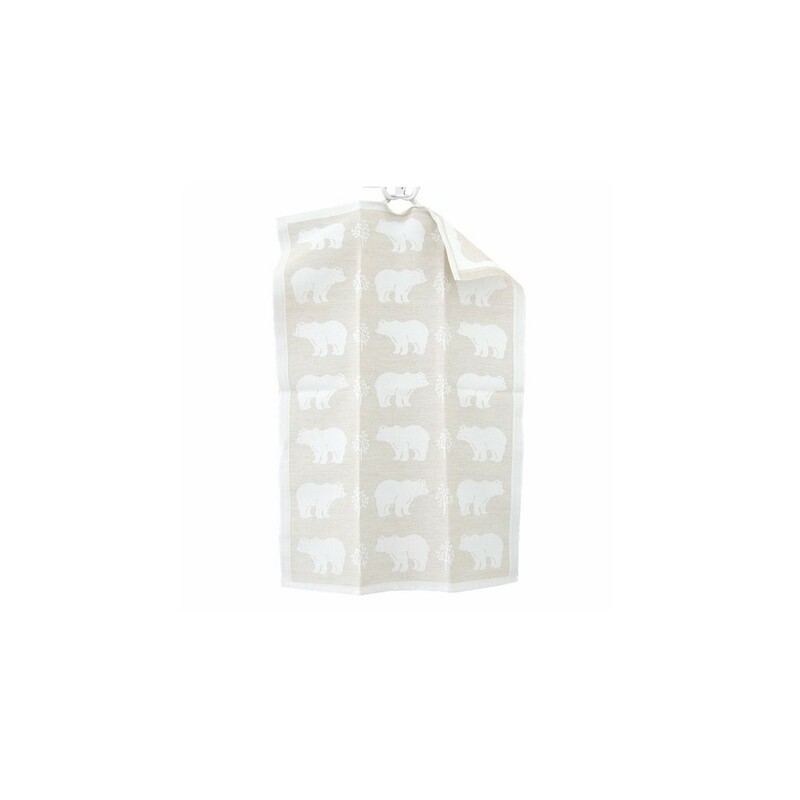 The carefully crafted and smooth blend will drape beautifully by its attached loop as an individual tea towel or as part of a cheerful collection.